You've recently completed the manuscript for Wolf Moon Rising. How was the writing process this time around? I tend to be much fonder of my own characters – they're much more alive for me. I think that the 16-year-old David is really my creation now. When we last saw him [on television], he was eleven or twelve, but had certain characteristics that are still there. He's quite self-centred and full of himself, and thinks himself to be very smart. Yes. Maybe it's all just synchronicity – who knows? 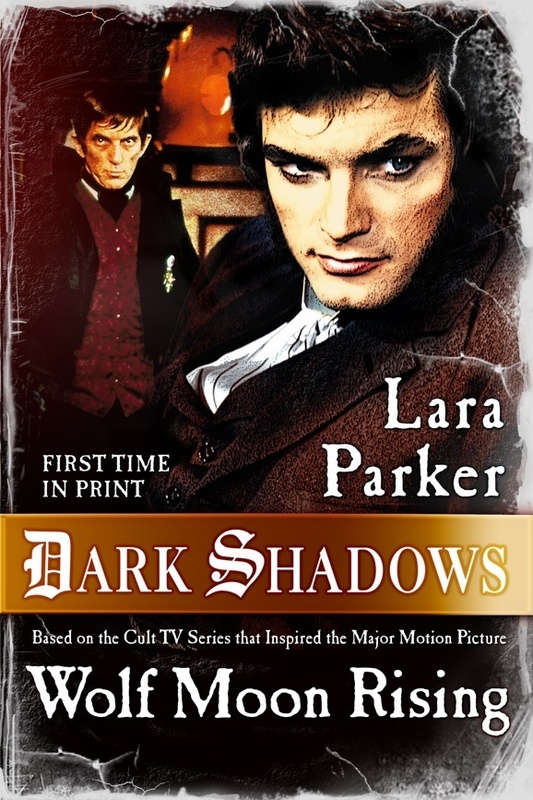 I could have written schlocky little books just re-doing the Dark Shadows stories, but I didn't do that. I've always tried to do something much more ambitious. So I just think it's amusing – I'm not greedy, so my reaction was to be amused. I wish them well. I am so thrilled that this movie got made. 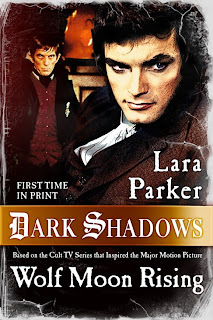 Dark Shadows: Wolf Moon Rising is out in August and can be ordered by clicking here. I've been eagerly awaiting Wolf Moon Rising. I was actually fortunate enough to find a brand new, shrinkwrapped 1st edition of Angélique's Descent at a flea market for $3. Sadly I had a lot of books stolen by a horrible roommate, and it was among them. Now I have the rereleased copy. Oh I'm sure I will, Ms. Parker! If you're still interested in coming to Alabama for the book tour or Mobicon, please email me at bzywizy@yahoo.com at your earliest convenience and I can give you details. I'm still planning the tour. Thanks for your suggestion. Cool, just pre-ordered the Kindle copy, on Amazon. Looking forward to it, especially after hearing how much effort and research went into it. Quentin and Liz? We never saw that one coming. I was so desperate for something good to read I went to a book store and bought When She Woke because I couldn't wait for your book anymore. LOL. Then I find out it's coming in August! So I should get a notification from Amazon to download on my Kindle soon. Nothing you can write will disappoint Lara...I'm just so thrilled you're keeping the great DS charaters alive! So glad Johny borrowed from The Salem Branch...I think he borrowed from Hawke's Harbor as well by S. E. Hinton. I keep hoping one day we can buy the WB 2004 pilot and that the NODS will be restored to it's orginal glory! I think the woman who played Julia in the 1991 series-Barbara ? could do Grayson Hall's voice or maybe Helena Bonham Carter? Do YOU have someone in mind to do Grayson's voice over? Just want to let you know that I've loved your work since I was a kid. You were great in that 'Kung Fu' episode, and though Angelique goes without saying, say I must! They don't make actresses like you anymore! I was a huge DS fan, and I remember when you were playing Angelique, and she was casting a spell, your big, beautiful eyes would seem to enlarge twofold. You were mesmerizing, and millions of us love you.